Learn about PV solar panels in the UK. Homeowners are going there own way and generating electricity, hot water with free vehicle mileage. Forward with confidence with PV solar panels enhanced by EV-charging. *Over its thirty-years plus lifespan. Wonderfully, it lasts longer than your mortgage. PV (photovoltaic) solar panels operate on most cloudy days in the UK. This misunderstood technology is the most popular type of solar panel today and will still be generating power in three decades time for its owners. A new family friend thats more useful than the dog. PV brings the power of the sun to your future EV (electric vehicle). This game-changing attitude brings free motoring-mileage to pioneering motorists across the United Kingdom. All our MCS installers are RECC scheme members and work throughout England, Scotland and Wales. All our MCS solar installers have an ethical attitude when dealing with customers. "PV and EV's work brilliantly together to free people from the rising costs of the 21st-century." Evacuated tubes were the most common form of solar heating until the advent of PV-powered heating converters. This technology uses excess electricity to heat your hot water tank. New PV-power day and night. Photovoltaic solar panels with battery storage capabilities are taking off globally because it expands the benefits of PV-tech well into the evenings and nighttime hours. Evacuated solar tubes are an alternative water heating system, developed for northern European countries. Vacuumed tubes use the sun's radiation, to heat your tank or swimming pool. Designed like a Velux-style window. Use the sun to generate hot water with solar heating panels. Also known as flat-plates, these were popular with households who have a hot water storage tank. Hybrid heat-pump with solar heating. Thermodynamic solar panels are a hybrid heat pump technology that supplements the heating of your hot water and space heating and thus reduce the cost of heating your home. "We're recognising the futility of the Switch N' Save industry and choosing to go our own way." Yes, photovoltaics do generate on most cloudy days and actually, work more efficiently in moderate temperatures and climates. A passionate installer once told me this analogy about electricity. "Electrons are like cats; they go wherever the food is best." In reality, it's just electrons bouncing up and down a wire. EV-charging is a popular motivation for installing PV solar panels today. Additionally, one thing I've realised since the early days of creating Power My Home is how delicate the global energy market is. They say "forewarned is forearmed" and it's this that I ask you to consider when pondering if you should purchase an installation. Revolutionising the way you think of energy is paramount, and since I have thrown myself into the world of solar panels, the rising global demand for PV solar technology have shown me that others think the same too. The key to a successful solar panel installation is research. That's why I developed this research tool for enthusiasts and beginners alike. Always get three quotes, compare sizes and additional plugin extras to gain maximum benefits from your purchase. 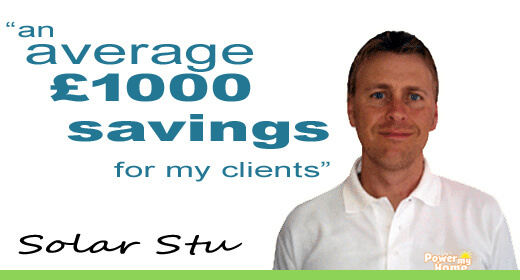 PV solar panels can vary in performance and price dramatically, but I've managed to help tens of thousands of people since 2004. Traditional energy suppliers can only guarantee your energy costs for a couple of years at the most - time for a more long-term solution for this crazy world. 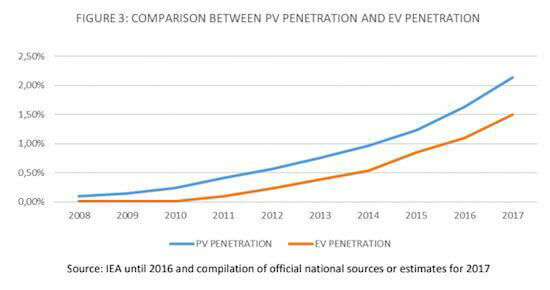 PV and EV's are technologies whose time has come.